The immature musculoskeletal system reacts to injury differently from the adult organism in many ways, and this is also valid for osteoarticular trauma. Lesions related to acute high-energy trauma, which are discussed in this chapter, differ from those caused by overuse/anomalous stress, such as the sports-related injuries studied in Chap. 11. For now, a special emphasis is put on joint injuries, although some extra-articular lesions typical of the pediatric age group are also described. 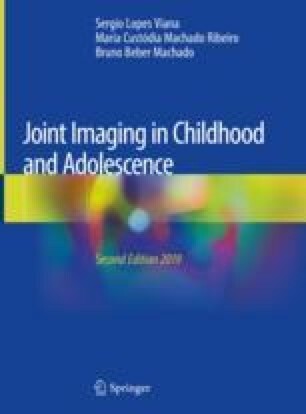 In addition to accidental traumatic injuries, this chapter also covers non-accidental trauma, given the importance of imaging as an objective evidence of child abuse. A concise approach is used in the following topics, highlighting the imaging appearance of the most frequent lesions. Pediatric trauma is an extensive and complex issue, and an in-depth study of it is beyond the scope of this brief review.